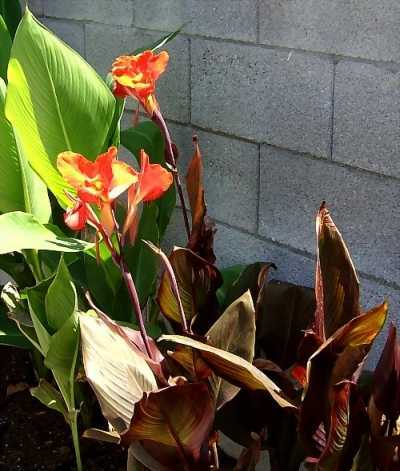 Canna 'Australia' is sparkly red-orange with a few streaks of yellow. 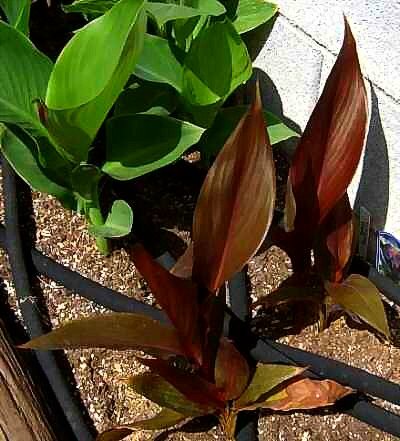 Australia's foliage is a distinctive dark maroon. 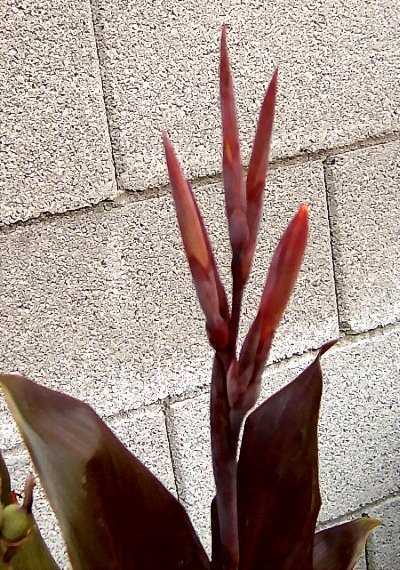 This loose head of reddish buds is a lovely compliment to the dark narrow leaves of Canna 'Australia'. 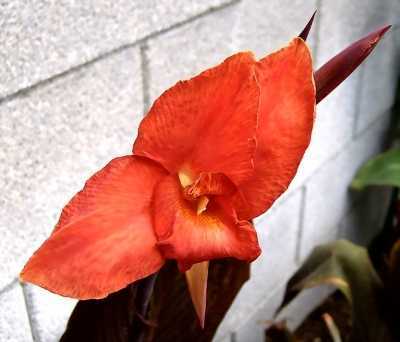 The flowers will be bright red.